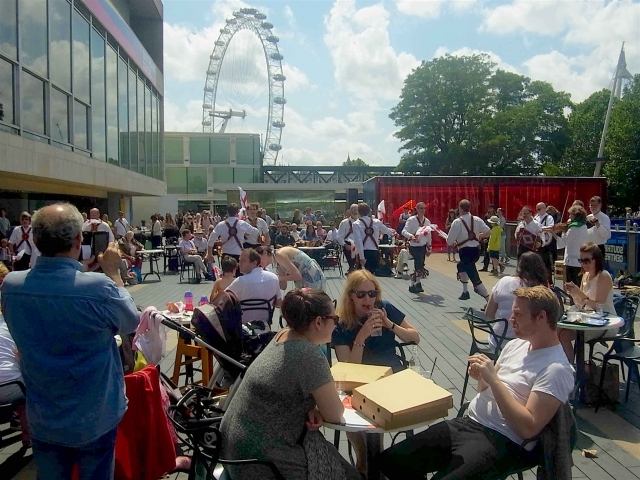 The Thames-side terrace outside the Royal Festival Hall must be one of the best places to dance in England! 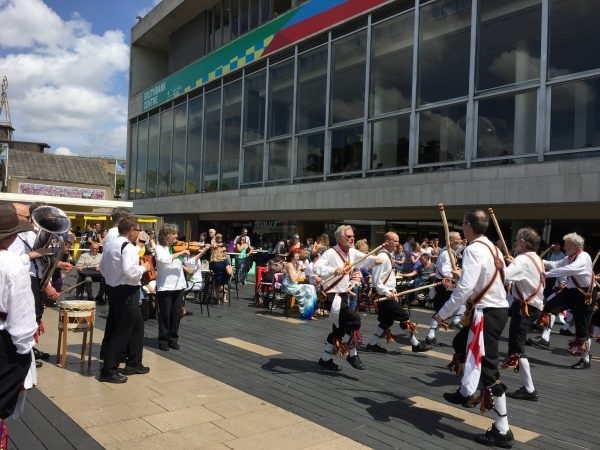 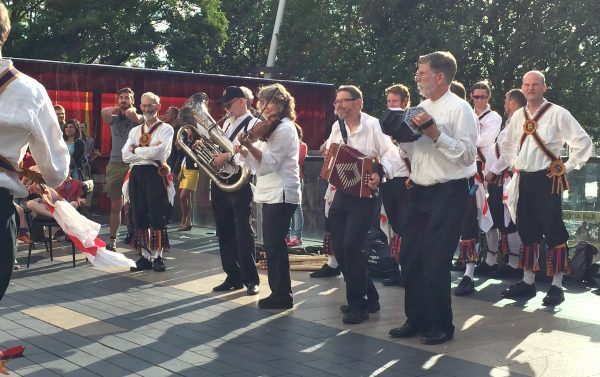 Brighton Morris and Belles of London City danced on the terrace during the afternoon, before the main concert in the Queen Elizabeth Hall. 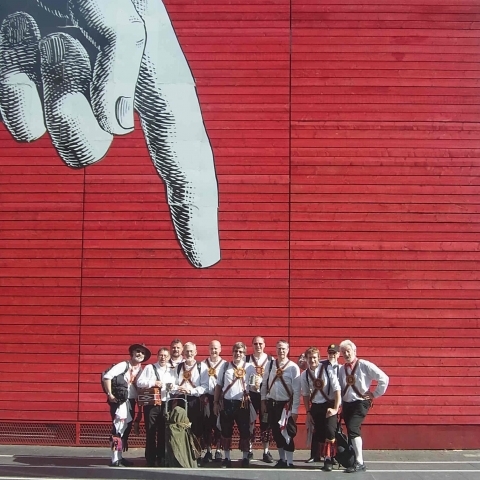 Musicians from Brighton Morris supported a play, The Little Gypsy Girl, written especially for Shirley (and performed in her presence as a birthday present), based on the song of the same name on ‘No Roses’ which Shirley used as a bedtime story for her children back in the day. 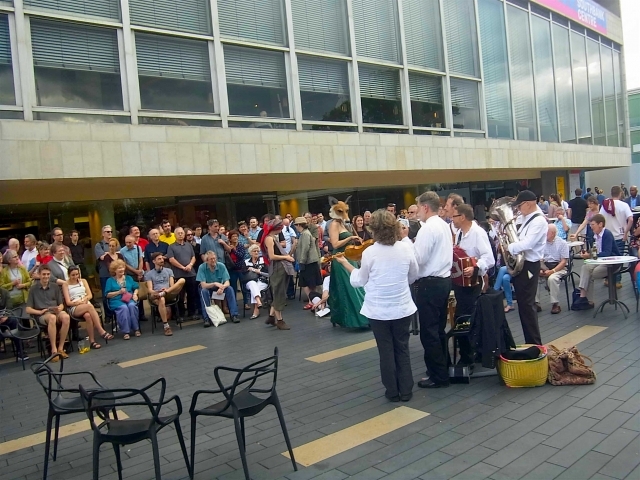 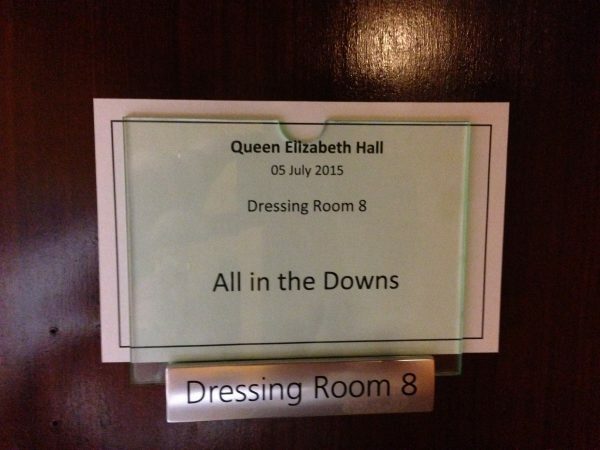 The main concert included the first ever full live performance of ‘No Roses’ by a guest band put together by John Kirkpatrick. 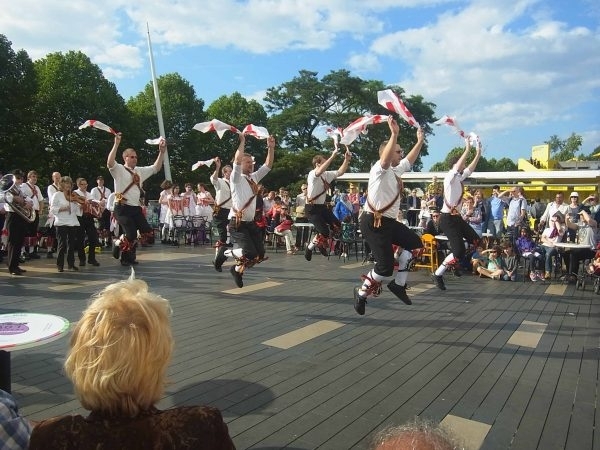 Brighton Morris danced Shirley’s favourite dance, Southover, after ‘Just as the Tide was Flowing’ in the running order. 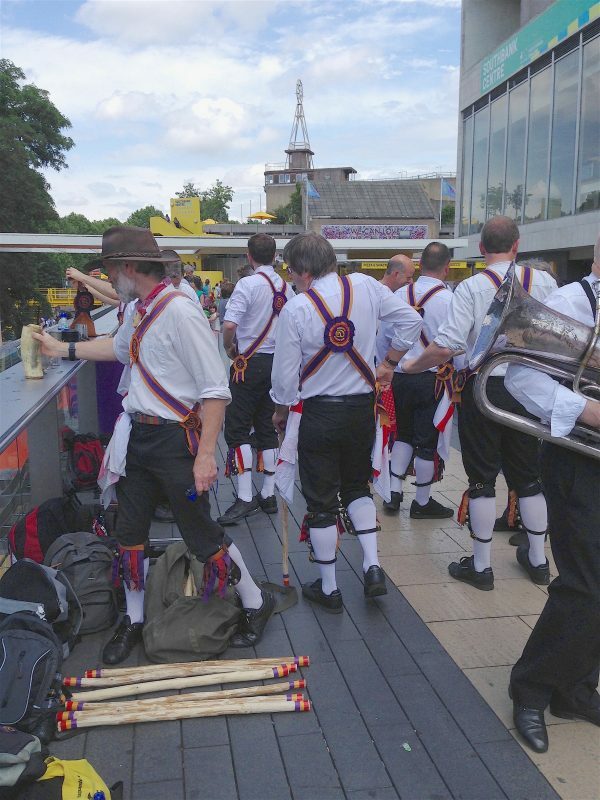 For reasons of musical coherence we could not use the tune written for Southover but adapted ‘Blue Eyed Stranger’ to fit the dance.